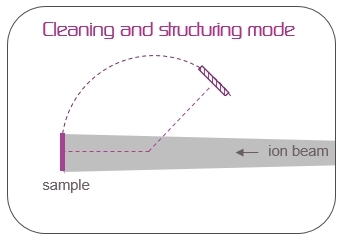 Clean your sample before thin film deposition, nanostructure its surface before protecting it by a top coating, deposit two thin films of different material, all is possible with our multifunctional surface treatment system. The sample is rotated into the beam path. The sputter target and Film Thickness Monitor are retracted. 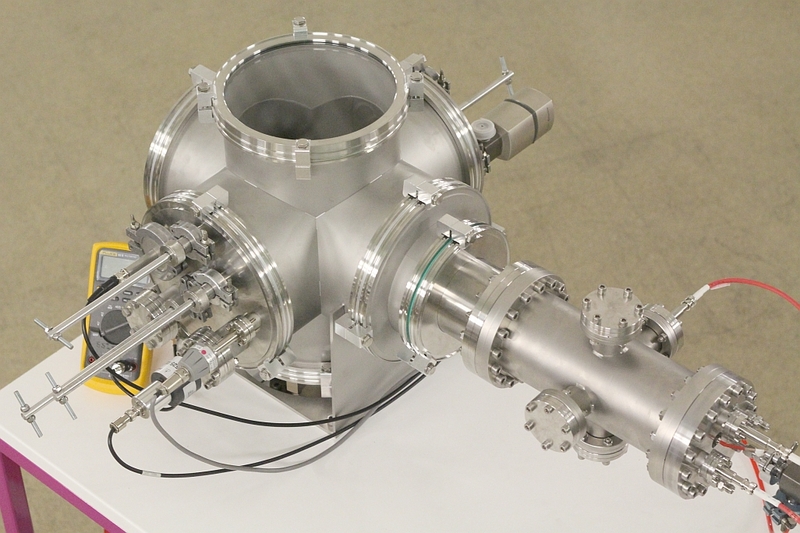 The sample is rotated out of the beam path. The target and film thickness monitor are retracted. 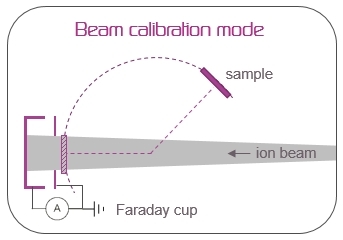 The beam is allowed to enter the Faraday cup without any obstructions to measure the beam current and calculate the average current density on the sample. The target is placed in the beam path. The sample is in its deposition position. 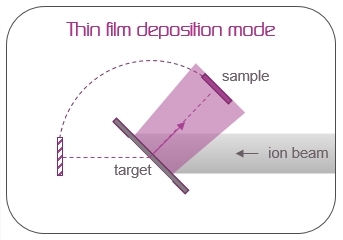 The Film Thickness Monitor is retracted. The target is placed in the beam path. The sample is rotated to the deposition position. 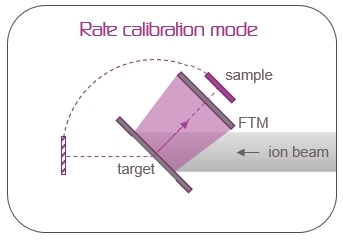 The Film Thickness Monitor (FTM) is placed between the sample and the target. 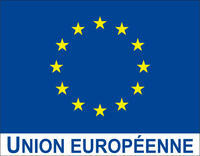 La conception de la machine Multitraitement est cofinancée par l’Union européenne. L’Europe s’engage en Auvergne-Rhône-Alpes avec le Fonds européen de développement régional.